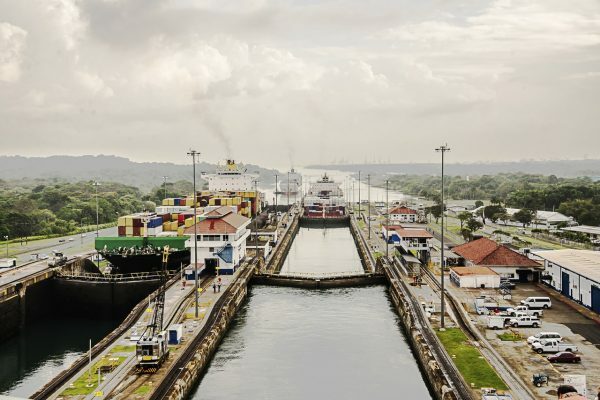 A new chapter got added to the 102 years old Panama Canal. The Canal is the well-known symbol of human ambitions and achievements. The enhanced capacity got added with an expenditure of US 5.5 billion and construction exceeded the time limit by two years. Three times bigger ships can pass through the canal now with the new water depth allowed 18.3 meters than the earlier of 12.5 meters, and the breadth has now extended to 55 meters from the previous 33.5 meters. Just for record sake, it is estimated that the amount of cement and concrete used amounted to 25 times the volume used for the Pyramid of Egypt. The steel used the equivalent of 29 Eiffel Towers, and the new locks system has the capacity of Empire state building. It is believed to be a step towards much better trade between US coasts, also higher trading volumes between The US and Asia. As also the growing demand would meet the requirement of North-south continental routes and the east-west Pacific and Atlantic traditional routes. Thousands of people and dignitaries were present on its inauguration by the Panama President Juan Carlos Varela on June 26, 2016. The new locks got unveiled in the presence of the heads of Central American countries. Both supporters and critics tow their respective lines. It seems those for the addition of the 3rd lock have the edge over the overall situation. The supporters say the minor adverse effect would occur to the environment, the jungles, reserved parks or rural or modern industrial areas, vacationers, harbor areas. The damage can get offset by using advanced systems and technology. Joe E Reeder, who was the Chairman of the Panama Canal Commission’s board of directors from 1993, – 1997 has applauded the present Panama Canal Authority style of working that it works more professionally and at any time more efficient, reliable and safety oriented when compared to his tenure. He rated that safety standards and transit time have improved much, and the management is far superior to earlier.